Your body is naturally equipped with a self-sufficient detoxification process. But too much sugar, caffeine, processed foods, fluoride, vaccines, pharmaceuticals, pesticides, cosmetics, dioxins, stress, and too little exercise can slow the body’s natural detox function to a crawl — and then your body can’t clean itself when it is put up against the increasing number of harmful and toxic substances in our environment. Enhancing detoxification pathways is the answer to preventing your body from becoming a toxic waste dump. Once this is done you will begin mobilizing and binding the metals in your body and excreting them through your urine, bile, stool, and sweat. How do you know if you need a detox? You know you’re suffering from toxic overload if you are experiencing fatigue, memory decline, difficulty focusing, allergies and infections, irritability, anxiety and depression, difficulty with weight gain and weight loss, muscle and joint pain or weakness, skin rashes and outbreaks, recurrent yeast and fungal infections, constipation, diarrhea, abdominal bloating, and indigestion. Most people report vast improvement in their symptoms after a detox. At first, you may feel a little fuzzy because of the toxins being released. However, when you stick with it, you will begin to feel more alert, energized, and full of vitality. A full detox is accomplished by optimizing your nutritional status and detoxifying ability. Once this is done you will begin mobilizing and binding the metals in your body and excreting them through your urine, bile, stool, and sweat. Yolanda Yogapanda is a very smart and wise little panda bear. Together with her best friends, Toby Trunk and Leopold the stripy lion, she encounters various challenges in life – challenges Yolanda Yogapanda usually have great ways of solving. This is the first in a series of children’s books (age 5-95 years) based on the wisdom of ancient and timeless teachings of great yoga masters like Patanjali and Sri Swami Satchidananda. First thing in the morning, drink one lemon squeezed in 12 ounces of warm filtered water. Lemon water activates your liver to release toxins and helps to cleanse and move the roughage that stays behind in your intestines. We all know that we get rid of most of our waste through our bowels. If your digestive system is not working properly, it can’t get rid of unwanted waste and toxins properly. Our body empties many toxins into our excrement, but if it is sitting in the bowel too long (i.e. you are constipated) — it can get reabsorbed and go through our detox systems again — increasing their workload and making them less effective. For advice on nursing your gut back to health have a read of the right foods to eat. In addition, an overgrowth of the wrong types of bacteria or fungus in your gut will result in their harmful toxins entering your body, increasing your toxic load. If you are suffering from digestive problems it is not only your nutrient status and your comfort that it can be harming — poor gut health also impacts on your body’s ability to detox. So this must be a first step in any programme that aims to clean up the body. Always optimize your gut function first. Eliminate the common food allergens (dairy, gluten, corn, eggs, etc. ), taking probiotics and enzymes for one to two months before detoxifying. Take acidophilus or a probiotic supplement. Acidophilus is one of the many “good” bacteria and yeasts known as the probiotics. Probiotics balance our intestinal functions, helping to break down food and control the “bad” bacteria that is also in your system — all of which optimizes the detoxification process. Always take probiotics on an empty stomach. Use healthy fats (omega-3 fats, olive oil, and flax oil), amino acids (which boost all your liver’s detoxification capacity), and minerals, particularly zinc and selenium (which help your body detoxify metals). The green pigment in plants, chlorophyll, is structurally similar to the hemoglobin in the human body — the iron-containing element in blood. It increases red blood cell production and improves oxygenation, detoxification, and circulation. Be sure to eat several servings of fresh green vegetables every day during your detox. This is where the really clever stuff happens, your blood enters the liver full of toxins and bacteria and leaves clean — that is if it is working properly. The unwanted pollutants are neutralised in the liver to make them less harmful to the body using a series of complicated chemical processes. Some of the chemicals are recycled and the rest are dumped into your excrement in a substance called bile. Your liver is also responsible for many other functions including digesting fats, storing vitamins and energy supplies plus more! Many of the recommendations below promote the function of the liver by supplying it with nutrients that it uses to ensure that the chemical processes we describe are working and that the production of bile is maximised — speeding up our cleansing process. When your cells are working well and making energy properly they are fairly clean burning engines, making less trash. As cell function declines they start to pour a lot of black smoke out their exhaust, in the form of lactic acid and other inflammatory by-products. This changes the pH in the fluid around cells, stressing circulation to and from cells. Since you have 100 trillion cells, solving this problem or preventing it is a good idea. One key principle of detoxification is to make less cellular trash in the first place. Take folate and vitamins B12 and B6 and eating sulfur-containing foods such as broccoli, collards, kale, daikon radish, garlic, onions, and omega-3 eggs. Try this super-cleansing broth and juice recipes as quick ways to wake up your detox pathways. Detox Broth: Add as many of these ingredients as you can into a large pot of filtered water: collards, Swiss chard, kale, mustard greens, cabbage, dandelion, Brussels sprouts, daikon radish, watercress, seaweed, shitake mushrooms, cilantro, garlic, leeks, fresh fennel, anise, fresh ginger, and turmeric. Boil until all ingredients are soft. You can make in a large batch and refrigerate for up to three days. 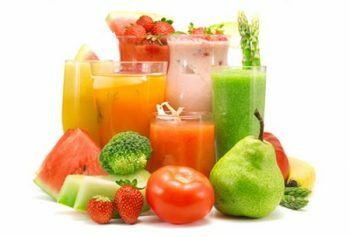 Detox Juice: Juice the following together: Aloe vera juice (which can be found in most health food stores), apples, asparagus, beets (including greens), cabbage, carrot and carrot greens, celery, cucumbers, and parsley. You can also purchase vegetable juice from the store, but be sure that it has no added salt or chemicals. High quality alginate supplements from seaweed bind to metal in the gut. Selenium, zinc, n-acetylcysteine, lipoic acid, milk thistle, and garlic also support detox protocols. Iodine and lecithin supplementation help increase the urine irrigation of sodium fluoride from the body as calcium fluoride and to help excrete fluorides. Chelation therapies are also recommended primarily for heavy metal removals. DMSA (Meso-2,3-dimercaptosuccinic acid) chelation can be used to detoxify your body quickly and is used to remove toxic heavy metals. It is particularly effective at removing lead and mercury. However I don’t recommend DMSA because it is not natural, it is synthetic in origin. Chlorella tablets are a great alternative to DMSA, and very effective. Take a daily supplement of 1 tablespoon of flax seed oil, walnut oil, or deep-sea fish oil. Green Tea is a strong antioxidant, and a great beverage choice for your detox. Dandelion and Milk Thistle both protect and restore the liver. Ginger is a bowel and kidney cleanser. Make yourself tea from fresh ginger root during your detox. Try a revitalizing herbal bath. You can draw out toxins by infusing your bath water with eucalyptus, wintergreen, peppermint, fennel, cinnamon, and epsom salts. Sauna therapy is also very effective but make sure you take adequate electrolyte and mineral replacements to prevent dehydration and mineral loss from the sweat. According to Chinese medicine, the liver is most active in the detoxification process during spring. However, spring may be the best time to cleanse your body, but you don’t have to wait until spring to start. Detoxification and cleansing is a healthy maintenance program for all seasons. Marianna Pochelli ND is a Doctor of Naturopathic Medicine specializing in the treatment of disease through super-foods and herbal strategies. She actively promotes detoxification, colon cleansing, and a vegetarian lifestyle using living foods as a platform to good health. You can follow Marianna at preventdisease.com, where this article first appeared.